It's a question customers and businesses alike often ask, but thanks to certified mail, it's an inquiry few have to make. Certified mail tracking is the new norm, and businesses without it are missing out on all the things that make corporations successful: excellent customer service, high ratings, security, and more. Are you wondering if you should take the plunge into certified mail tracking? Trust us when we say you should. Here's why. Snail mail is far from dead; businesses still require products to be sent, sensitive data to be handled, and direct marketing campaigns to be successfully carried out with snail mail. By omitting that singular worry ("Did it arrive? "), entrepreneurs forge a path to a strong and promising future. Time management and efficiency are essential for great customer service. No number of polite but inefficient representatives make customers happy. By utilizing certified mail, customer service sectors quickly access consumer records. Shipping and product tracking information make it easy to inquire about a package and to share that information with customers. The result is a customer who poses a question and gets it answered within minutes. And the answer is accurate. In addition to increasing customer happiness, certified mail also lessens the burden on customer service representatives. Because purchasers track their item's progress, inquiries about a product's whereabouts aren't necessary. This lessens the traffic of calls to the sector, allowing them to focus efforts on other matters. Every time a customer service agent works with a consumer, it costs companies an average of $5. For entrepreneurs, fewer calls translate to less money spent. Do you want a higher Google rating? Then focus on increasing your business ratings and customer reviews. Once more, certified mail helps. Minimizing delivery anxiety is a quick route to a happy customer. By keeping individuals informed about their order every step of the way, customers are more likely to provide positive feedback about their experience. Up goes the reviews. And up goes your rating on Google. Increasing sales by 20% sounds pretty fantastic, right? By providing expected dates and tracking information, this number is within quick reach. It's the secret to Amazon's success. After all, 87% of online shoppers cite shipping speed as a huge factor that impacts later purchasing choices. On top of enjoying more revenue, certified mail tracking also decreases customer defection. 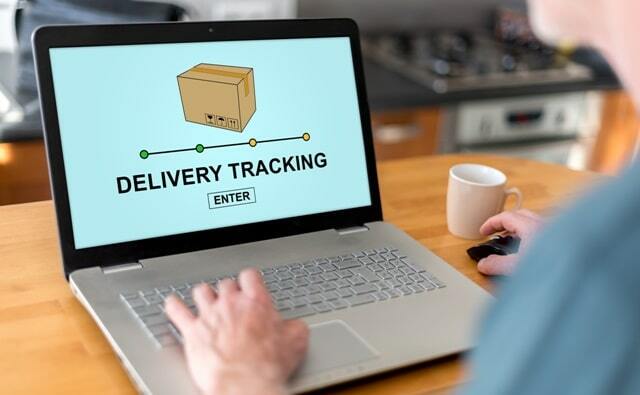 By providing delivery estimates and updates, companies reduce delivery anxiety, increase customer satisfaction, and encourage future relationships. There's no missing the numerous data leaks in the news. The truth of the matter is that sending and storing sensitive data via the web is convenient, but it also poses huge security risks, unlike snail mail. Especially if that mail is tracking certified mail. This form of snail mail requires recipients to sign when packages or documents arrive. The signature provides proof the mail reached the recipient. Needless to say, it's a tad more difficult and inconvenient to infiltrate the USPS center where a document is located than to hack into a company's database online. Transported mail also provides more privacy. This all might sound wonderful, but you're probably still dreading the trip to the post office. Except you don't have to. Certified mail no longer requires businessmen and women to make daily or weekly trips to their local USPS center. Instead, they send everything from their office. Companies provide USPS certified mail labels online. All executives or employees have to do is print the label, tack it on their package, and away it goes. Like regular mail you take to the post office, it's completely trackable. View the site at that link to learn more. Because packages and documents are scanned as they continue through the mailing process, customers and businesses know exactly when the product or information makes it to the recipient. That tracking information provides proof that a package was delivered successfully. Such data is helpful in addressing customer disputes, shipping issues, attainment of time-sensitive data, and more. It's an easy way for businesses to demonstrate when something was ordered, shipped, and received. Even with the many steps taken to keep a close eye on certified mail, mailing itself remains a human act. Rarely, items go missing. In the past, this required a company to send, say, a customer an entirely new product. Today, the process is simpler. The tracking data lets businesses see the last location at which an employee scanned the item. Many times, lost packages are at the post office indicated in the last scan. The process behind certified mail greatly reduces the chances of lost mail, but when it occurs, there's a good chance companies and USPS offices can find it in a reasonable time frame. Hiccups occur, regardless of the hard work employees and employers put into their positions. During these times, tracking information helps. Customer service representatives see where an error occurred. That information is logged. Added to other complaints or issues, the data lets companies know if something is amiss and gives them a decent idea of where the problem lies. This makes fixing it simpler. Finally, certified mail tracking enhances a business's relationships with almost everyone it works with. Affiliated companies receive information and documents that can't be sent electronically in an efficient and safe manner. Shipping departments work with sales to ensure products are kept on the shelves and mailed on time. Customers know what to expect. Customers and businesses no longer have to ask "Did it arrive?" Instead, they use certified mail tracking to find their answer. Certified mail comes with a heap of benefits corporations can't ignore. It makes life better for customers and employees. It even impacts a business's future. With certified mail, a once annoying conundrum turns into a smile, and a question turns into an affirmation: "It arrived." But mail aids in other ways, too. Read all about direct mail in our article and find out how it can help your company.